We know our "why"... it's you. Now let us help you take care of yours. At the Fortis Group at Morgan Stanley, we believe that your financial life is more than just your investment portfolio. Whether you’re planning for retirement or seeking to secure your family’s legacy, our approach emphasizes the importance of the success of your goals and the effect they have on your well-being and the well-being of your loved ones. We begin each relationship by taking our clients through the financial planning process. Doing this, you will feel more comfortable knowing we’ve completely understood all of your goals before ever suggesting a product. After we’ve fully understood your objectives, we are able to suggest investment solutions we have vetted through extensive analysis and deem appropriate to help you achieve your goals. Our name – Fortis – comes from the Latin word meaning strong, steadfast and resolute. We chose this name as it represents our promise to our clients. 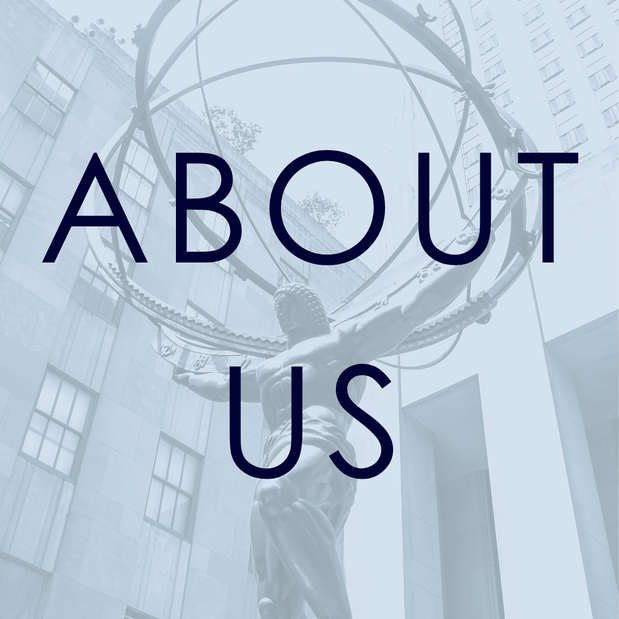 Our team consists of fourteen dedicated professionals who are committed to ensuring our clients receive the highest standard of care and service. We pride ourselves on our client service model which is centered on accessibility. Our promise to our clients is to be reliably within reach during normal business hours and beyond. At the Fortis Group, we know our “why”… it’s you. Now let us help you take care of yours. Markets continued their terrific march upward, the Dow Jones is having its best start to the year since 1991 and almost all asset classes have rebounded from a tough fourth quarter . This shift upward for many investors has been validated by the ever-stronger U.S. labor market, which kicked off the month with 304,000 jobs created (notching in the 100th straight month of job gains for the U.S. economy ). The strong labor numbers gave investors hope there is still slack left in the job market and stock markets have further room to run. Cities like Chicago saw their lowest temperatures in over 34 years as residents experienced -23° weather. The city was below zero for 52 straight hours, the fourth longest streak on record . However, even markets were too caught up in the never-ending-geopolitical-trade war-talk to get frozen by the polar vortex that swept across the country. Markets were encapsulated in the trade negotiations between the U.S. and China, which took steps in the right direction throughout the month. Top U.S. negotiators Robert Lighthizer and Steven Mnuchin, and top Chinese negotiator Liu He, met in the Washington and Beijing throughout the month . The real breakthrough for investors came late in the month when President Trump extended the March 1st deadline indefinitely for increased tariffs which would prevent the current 10% tariffs on Chinese goods from jumping to 25%, something markets took as a sign negotiations were nearing an end , . While I think negotiations have further to go and agreements on key topics like intellectual capital rights have yet to be addressed, I am hopeful politicians can build on the momentum and enact meaningful change. With Brexit scheduled to officially commence on March 29th, you would think the British government would have made significant steps toward a feasible solution for the fifth largest economy in the world to exit the European Union (EU). If anything they have added a little more uncertainty. Prime Minister Theresa May continues to run into roadblocks within the U.K.’s Parliament, however Mrs. May did make a major reversal saying that if Parliament rejects her Brexit deal in a vote on March 12, as most expect will happen, they can then separately vote to extend negotiations with the EU past the March 29th deadline . Brexit 2020 anyone? Since late November of last year, profit growth expectations for companies in 2019 have been falling precipitously, from upwards of 10% growth all the way down to 5% growth today (and a five percentage points revision in three months is nothing to sneeze at)! While we acknowledge profit expectations have fallen, we still believe expectations are too rosy and have room for further revisions downward. Consensus estimates for growth in 2019 progresses as follows: first quarter growth -2.8%, second quarter growth +1.3%, third quarter growth +2.6%, and finally fourth quarter growth +9.6%. You don’t have to be a detective here to see which one of these expectations seem a little out of place. 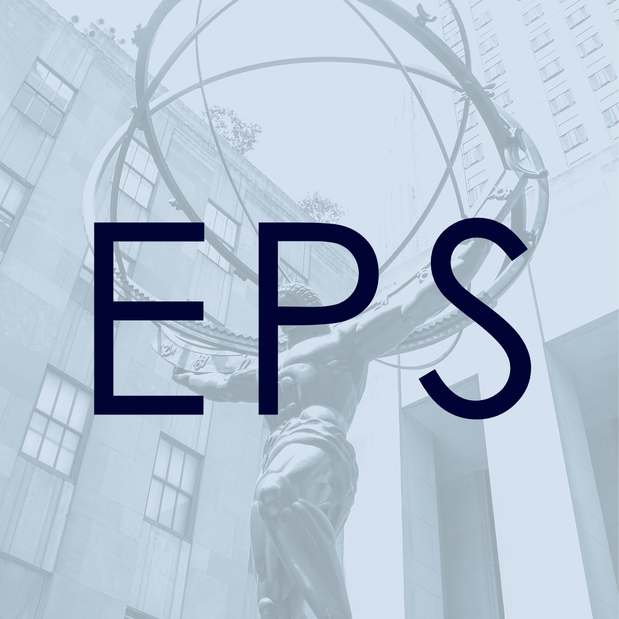 While we certainly don’t have a crystal ball, we can look to history for some context on how expectations for large upward inflections in earnings usually play out. Our team went back to ’04 and took a look at the difference between any given quarter's earnings growth and the average growth of the prior three quarters. Unsurprisingly, since ’04, the average difference between any given quarter's year-over-year growth and the average of the prior three quarters was only about 0.3% (i.e. not very much). Alarmingly, consensus currently has this difference at 8.6% for the fourth quarter of 2019 (9.6% growth minus the average rate of 1% growth in the first three quarters of ‘19). We found that absent an earnings recession or a financial crisis or a onetime boost from tax cuts, larger inflections just do not happen. While we think it is obvious that there is very little scope for an upside surprise in the back half of the year, we did think it was imperative to look into what happened in environments like the one we are in today. In prior examples of inflections points similar to the current situation, growth expectations end up falling 86.7% of the time. Meaning there is an 86% chance we will likely see the expectations on growth fall between now and the fourth quarter. Furthermore, on a median basis, growth expectations have fallen by 10.4%, so not only is there an 86% chance growth will fall, but, on average, that growth has fallen by -10%. To me it is not a story of if, but when markets do begin to reprice growth expectations, in which case you can expect to see another leg down in stocks. here are mixed messages being sent right now from two of the biggest participants in markets, stock and bonds. Traditionally stocks and bonds have moved in the opposite direction of one another. For the most part, in a risk-on environment as stocks move higher, bonds move lower and vice-versa. This was true in the back half of 2018 as stocks moved up throughout the summer, bond values decreased in response to a risk-on investing environment. However as we transitioned into the fourth quarter and stocks began to sell off with fears of slowing global growth, bond values increased as markets transitioned from a risk-on to a risk-off atmosphere. However, in 2019 the message is not as clear, and stocks and bonds are sending mixed messages. Stocks have moved back up close to prior highs set in September 2018, while bond markets have not gotten the memo and have more or less stayed range-bound since the beginning of the year. While I do not like the idea of picking sides, I do know that something is off here. Maybe, it’s a little bit of both to paraphrase the great Mr. Gump, maybe both stocks and bonds are right and they need to meet in the middle. Either way, there is something afoot here, I am inclined to take a step back and simply watch as markets sort out who is right. We continue to be more apprehensive regarding positioning in stock markets today, especially as valuations on stocks have moved back up to the expensive territory and markets close in on all-time highs. U.S. markets continue to have strong momentum from the Federal Reserve and so long as data continues to come in somewhere between the not-so-bad / not-so-good camp, the tailwind of a accommodative Fed should be helpful. We are favoring defensive positions for the time being, and will continue to make further adjustments as geopolitical and market conditions unfold throughout the year. Information contained herein has been obtained from sources considered to be reliable, but we do not guarantee their accuracy or completeness. The views expressed herein are those of the author and do not necessarily reflect the views of Morgan Stanley Wealth Management or its affiliates. All opinions are subject to change without notice. Neither the information provided nor any opinion expressed constitutes a solicitation for the purchase or sale of any security. Past performance is no guarantee of future results. The Standard & Poor's (S&P) 500 Index tracks the performance of 500 widely held, large-capitalization US stocks. An investment cannot be made directly in a market index. The Barclays Capital U.S. Aggregate Bond index measures the performance of the U.S. investment grade bond market. An investment cannot be made directly in a market index. The Barclays Capital Global Aggregate Bond Index is a market-weighted index of global government, government-related agencies, corporate and securitized fixed-income investments... An investment cannot be made directly in a market index. The Russell 1000 Growth Index measures the performance of those Russell 1000 companies with higher price-to-book ratios and higher forecasted growth values. An investment cannot be made directly in a market index. The Russell 1000 Value Index measures the performance of those Russell 1000 companies with lower price-to-book ratios and lower forecasted growth values. An investment cannot be made directly in a market index. The MSCI Europe, Australia, Far East (MSCI EAFE) Index is a capitalization-weighted index that tracks the total return of common stocks in 21 developed-market countries within Europe, Australia and the Far East. An investment cannot be made directly in a market index. The MSCI All Country World Index (ACWI) is a free float-adjusted market capitalization index that is designed to measure equity market performance in the global developed and emerging markets. An investment cannot be made directly in a market index. The MSCI Emerging Markets Index is a free-float-adjusted market-capitalization index that is designed to measure equity market performance in developed and emerging markets, excluding the United States. An investment cannot be made directly in a market index. The Russell 2000 Index measures the performance of the 2,000 smallest companies in the Russell 3000 Index. An investment cannot be made directly in a market index. At the Fortis Group at Morgan Stanley, we believe that your corporate retirement plan exists for one reason: your people. When working with plan sponsors, we focus our efforts on the success of the participant, often finding that the success of the plan is not far behind. Furthermore, we work to reduce the administrative burden of the plan sponsor, thus allowing you to focus more on the needs of the employees that are responsible for your company's growth. With less time spent on the day-to-day minutia, we free you up to get back to doing what you do best. 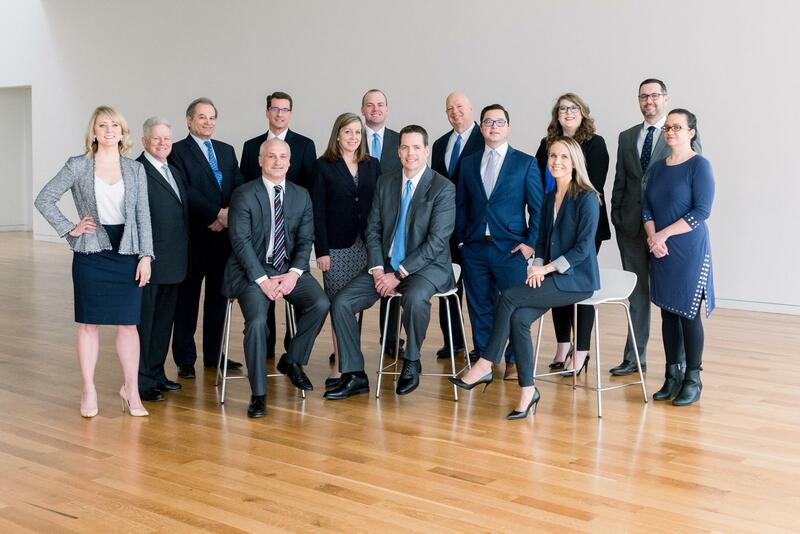 Our expansive team has the breadth to service corporate retirement plans of all sizes. No matter the size of the plan or number of participants, we believe in taking great care your employees so that your plan and your company can prosper. 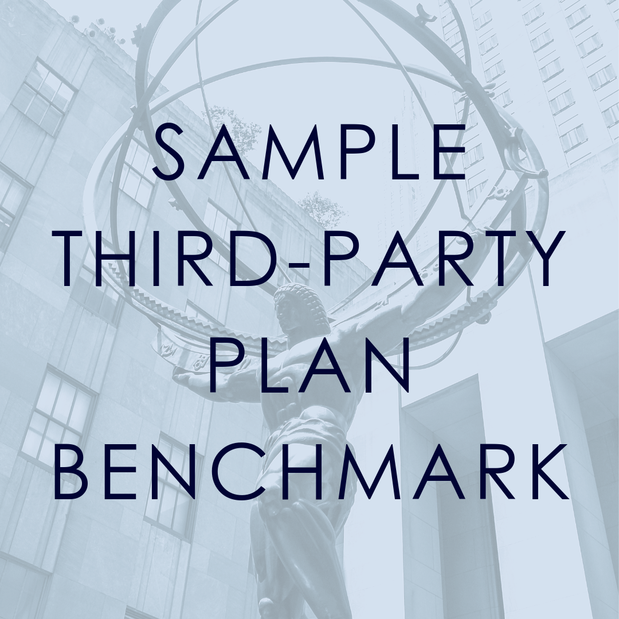 Understanding your fiduciary liability can be difficult, and is often a source of stress for plan sponsors. 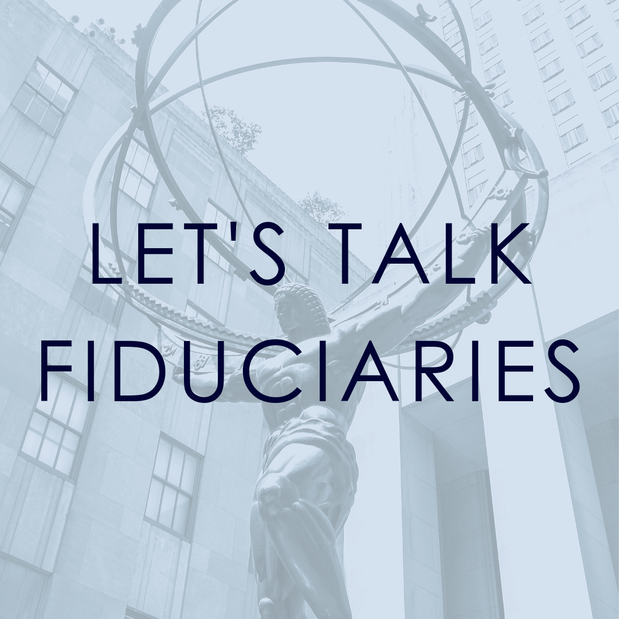 We can help you understand your fiduciary liability and, in some cases, even employ strategies to help you reduce this burden and obtain peace of mind. Having an Investment Policy Statement (IPS) for your corporate retirement plan is a no-brainer and a must-have. However, if you don't have an Education Plan Statement (EPS) then how can you be sure your plan's advisors are properly educating your participants? We've seen first hand how proper participant education can bolster participation rates and participant success. comparable companies. It also offers insight into the costs associated with maintaining a plan and whether those costs are in line with industry norms. With your family's mission at the forefront of the conversation, we provide solutions for the wellbeing of your financial life and beyond. The solutions we provide help to ensure that your family's unique needs are met with proven strategies that are backed by the unwavering efforts of our experienced team of professionals. 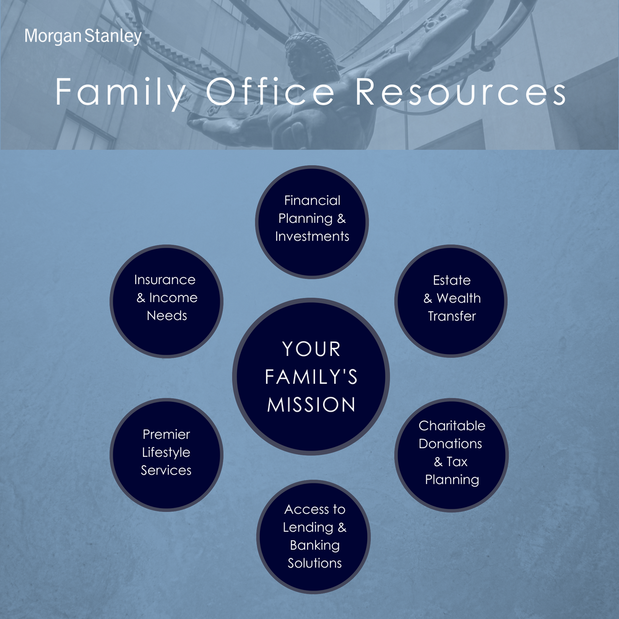 As a financial advisor with Morgan Stanley, Michael provides a wide range of investment management solutions for individuals and institutions alike. 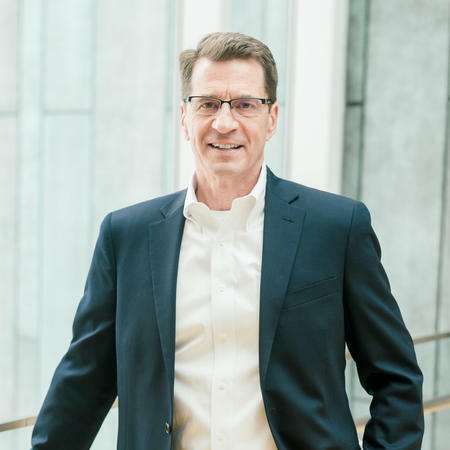 By utilizing comprehensive risk management investment strategies, daily market analyses, and his 20 years of industry experience, Michael is able to offer his clients tailored financial consulting services and innovative investment management solutions. Michael received his bachelor’s degree from Kent State University. 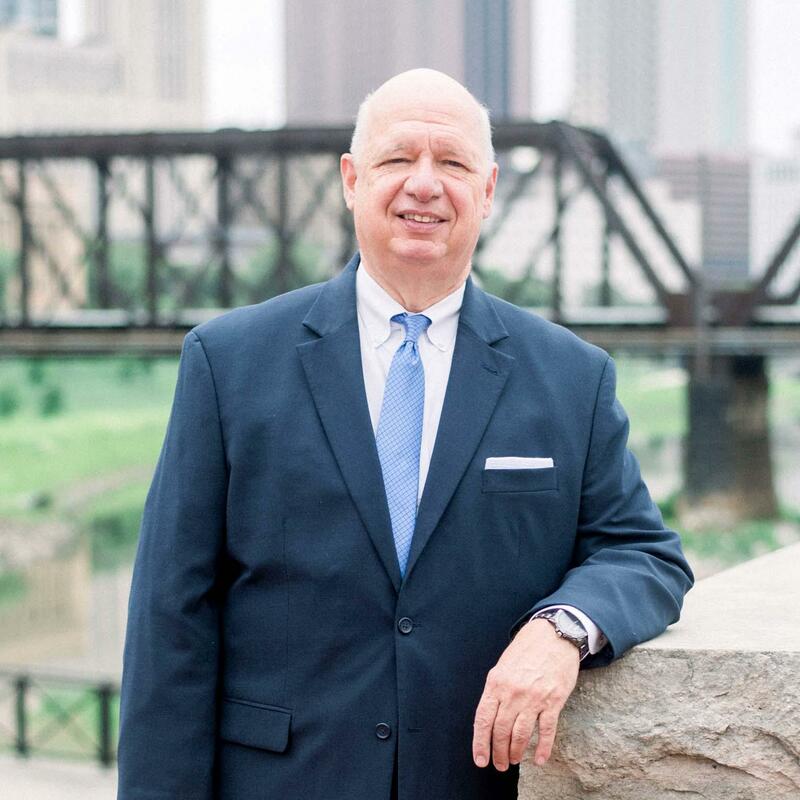 He received his Certified Investment Management Analyst certification from The Wharton School at the University of Pennsylvania and his Chartered Retirement Plan Specialist designation from the College for Financial Planning. His penchant for specialized continuing education in the industry is what makes Michael uniquely qualified to offer a myriad of consulting services. He works closely with high net worth individuals to create expansive financial plans that account for every facet of the individual’s life, covering everything from comprehensive portfolio design, estate planning, retirement planning, and many other long term goals. 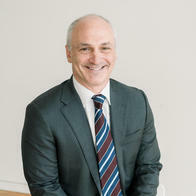 A core part of Michael’s practice involves working closely with business owners and institutions to design and deliver competitive qualified retirement plans for their growing entities. 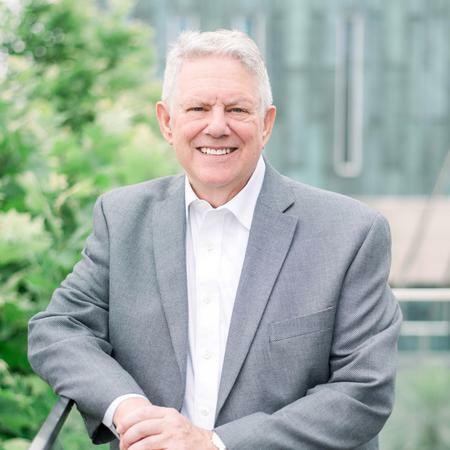 He has been known to be highly creative in this space and is a leading advisor in the area of Multiple Employer Plans, Frozen Defined Benefit Plans, 403(b)s, and 401(k)s for highly compensated employees. 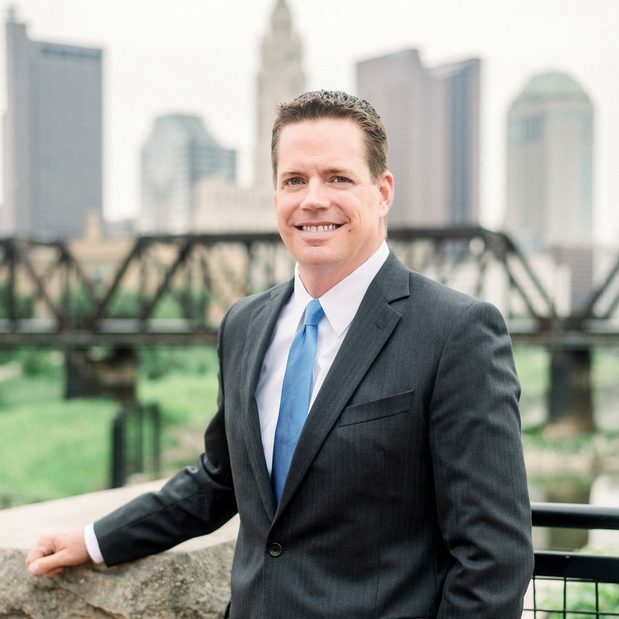 Michael and his team are service providers at the highly-renowned Conway Center for Family Businesses in Central Ohio where you can often find his team presenting to and educating business owners on all matters financial. An avid outdoorsman, Michael is involved with various environmental groups and has a passion for wildlife conservation. He’s an avid music lover and plays guitar. Most importantly, he is a husband to wife Leyla, and the father of two young boys, Daxton and Weston. 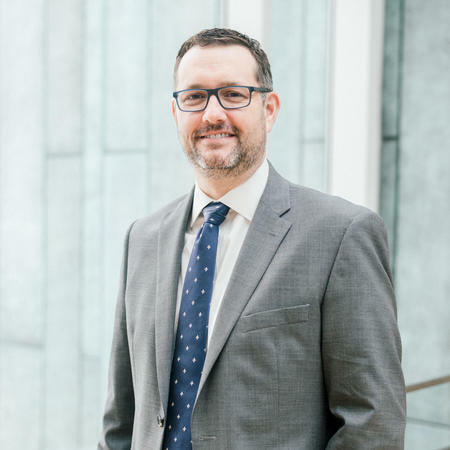 As a Financial Advisor with The Fortis Group at Morgan Stanley, Jon provides individuals with comprehensive income and financial planning solutions. 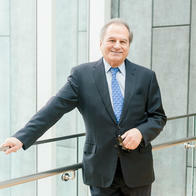 He utilizes a goals-based approach that accounts for all facets of an individual’s financial life. By focusing on educating his clients throughout the planning process, Jon prides himself on his ability to build trust and cultivate lasting relationships with his clients. Jon began his career in the financial services industry over 15 years ago and is adept at incorporating legacy and income solutions into a client’s overall wealth management strategy. Jon also provides consultative services and solutions to business owners and their company’s qualified retirement offerings, including pension and 401(k) plans. Jon graduated with a degree in economics from Otterbein University, where he also played baseball. 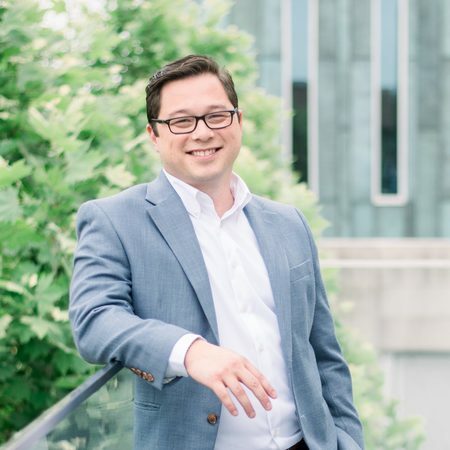 Upon graduating, Jon worked for a prominent regional bank and securities firm where he cultivated his skills in lending and investment management. Jon is an active member of the Westerville Sunrise Rotary, Westerville Chamber of Commerce, Blendon Masonic Lodge, Westerville Scholarship Foundation and the Windsor Bay Homeowners Association. When he is not working or serving his community, he enjoys outdoor activities, working in his garden and spending time with his family. He and his wife Kim, along with their two children and two French bulldogs, reside in Westerville, Ohio. 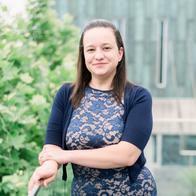 Erin joined Morgan Stanley in 2014 and became a member of The Fortis Group in 2017 as a Registered Associate. 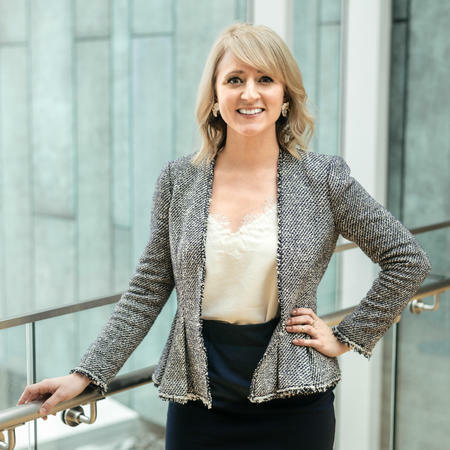 Erin excels at crafting detailed financial plans that are designed to help individuals and families reach their lifestyle goals or plan for a major purchase or life event. She has helped clients plan for and implement solutions for successful retirements, higher education funding, wedding costs, and many other lifestyle needs. 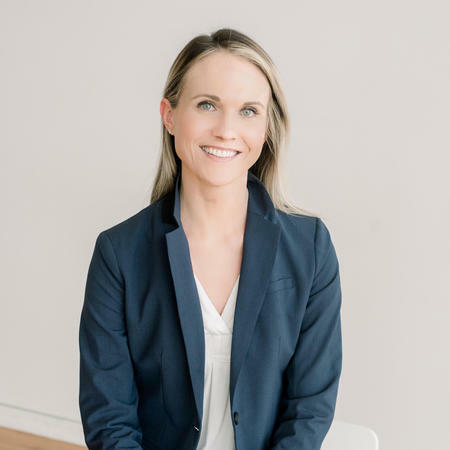 Erin is also charged with managing the team’s marketing initiatives and works to ensure that the team is persistently engaging in and tracking business development efforts. 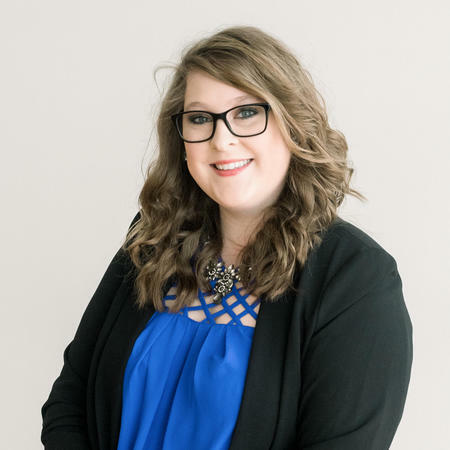 Her experience include writing and designing custom print marketing content, developing social media content, ideating and implementing team prospecting events, and engaging the team in networking and public relations efforts. Erin currently holds her Series 7 and Series 66 securities licenses and her Life, Accident, and Health Insurance License. She is a graduate of The Ohio State University with degrees in English and Political Science and a minor in Professional Writing and Communications. She currently serves as the Event Planning Chair for the Columbus-Based non-profit, Y.E.S. Columbus, which is a steering committee for the local Dress for Success chapter. 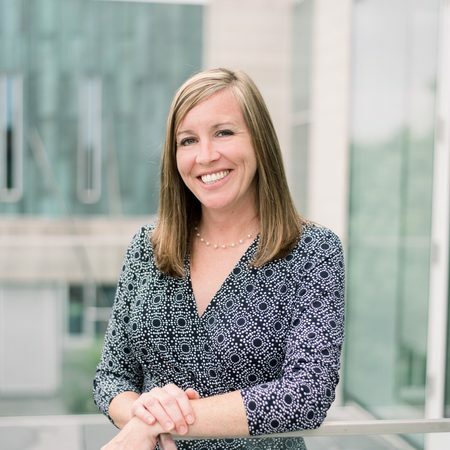 She is a member of the leadership committee for the Ohio State University English Alumni Association and has served as a volunteer committee member for the Tour de Grandview Cycling Classic two years in a row. Erin currently resides in Grandview, Ohio. She is an avid fitness enthusiast and enjoys traveling, reading, hiking with her dog, and spending time with her family. 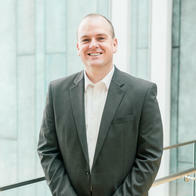 Patrick is the senior thought leader of our team’s Investment Committee. He oversees The Fortis Group’s overall investment strategy and is responsible for the daily tracking and updating of the team’s custom wealth management portfolios. His in-depth knowledge of the capital markets enables him to create and monitor portfolios that put to use innovative risk management solutions. Since joining Morgan Stanley in 2013, Patrick has maintained a strong commitment to providing clients with the highest standard of portfolio construction with special care toward addressing an individual’s dual needs relative to risk tolerance and performance return requirements. Patrick has a passion for staying up to date on the latest U.S. and International economic data and frequently leverages the best-in-class research and thought leadership as provided by the Morgan Stanley Global Investment Committee (GIC). Patrick grew up in Lexington, Kentucky and received his degree in economics from the University of Kentucky in 2009, during which he had the opportunity to spend a few years traveling through Asia. His passion for all things finance ultimately led him to a position with Morgan Stanley in Columbus, Ohio. He currently lives in German Village and enjoys cheering on the Kentucky Wildcats and the Columbus Blue Jackets. As a Wealth Management Associate for The Fortis Group at Morgan Stanley, Kristen oversees the teams client service department. With over 17 years of experience in the financial services industry, she is adept at assisting in the development and implementation of complex wealth management strategies and is proficient in the administration of corporate retirement plans. Her exceptional organizational skills and meticulous attention to detail ensure that all client matters are quickly and efficiently responded to. Kristen is FINRA Series 7, 63, and 66 licensed, in addition to holding her Ohio Life, Accident, and Health Insurance licenses. In addition to overseeing the client service department for the team, she is also involved in the planning and implementation of client appreciation events and ensures that our team is actively involved in a myriad of volunteer efforts. She currently lives in Pataskala, OH with her husband and two sons.